Large estate maintenance demands a rugged, high performance zero turn mower. 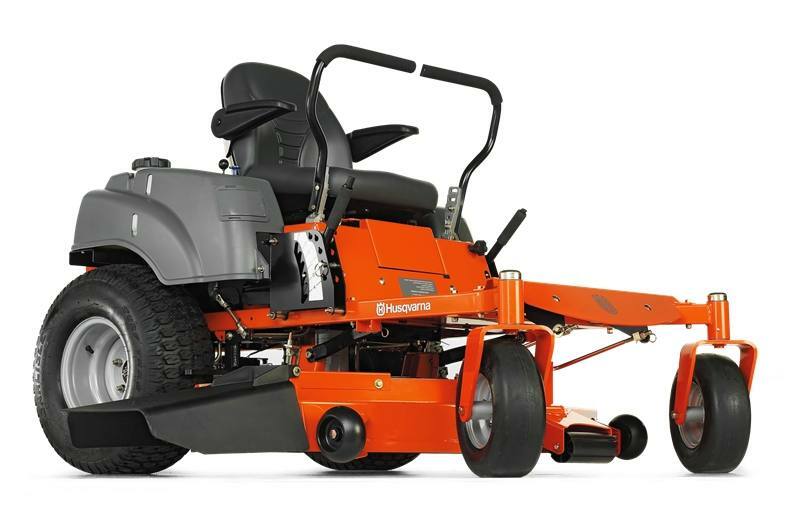 Husqvarna's EZ series of zero turn mowers incorporate professional features to provide supreme comfort and extended durability. High back seats with standard armrests, extended leg room, convenient control access and precision dampened controls allow comfortable, confident operation, while a rigid uni-frame chassis, heavy-duty transmission and premium engines ensure long life. Briggs & Stratton Engine: Briggs & Stratton engines offer durability, dependable starting and the power you need to get the job done. Durable drive system: Integrated ZT2800 zero turn transmission with charge pumps for smooth, quiet operation and positive response. Cutting height, min-max (approximate): 1.5 - 4.5 in. Base machine, length: 74.5 in. Base machine, width (chute down): 59.7 in. Base machine, height: 47 in. Front: 11 x 6-5 in. ; Rear: 20 x 8-8 in.